To be clear, this isn’t my first time using my colored pencils but this is the first time I am approaching them with a new curiosity. I have had this Prismacolor Premium 12 pack for a few years now. However, I have recently been inspired by the colored pencil art I am finding online. I think I will always favor my Copics and their amazing blending goodness but I am curious what I might be able to create using colored pencils. So on my recent trip to Michael’s I purchased a few additional color combinations. I thought I needed a few more colors since the coloring book Leao gave me for my birthday, might best be done with pencils. I would love to use my Copics but fear they will bleed through the pages. 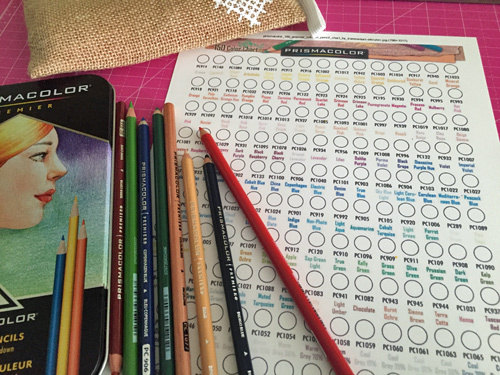 I am crazy about my color charts I use for my Copics, particularly my hex chart from Sandy Allnock. So I didn’t know what charts existed for Prisma color pencils. 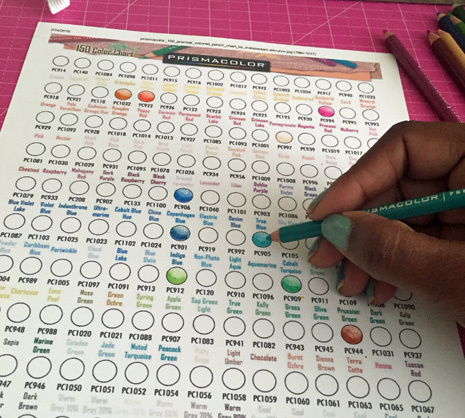 I was able to find a few online and printed out one to help me at-a-glance see what colors I have and plan for any additional colors. I began coloring in the colors I have this morning. I am going to head over to YouTube for some color pencil tips and I will be sure to share my progress. In the meantime, I hope you have a blessed day! Previous PostRevisiting my wellness goals.